Everything you need to know about Copenhagen; its attractions, events, places of interest and much more is on this page. The mischievous kid of Scandinavia, Copenhagen has got all to amaze the visitors. Its one of a kind atmosphere will put its arms around you the moment you begin wandering through the beautiful streets. Also referred as the capital of Scandinavia, Copenhagen is one of the most popular destinations not only in Europe but also in worldwide. Apple of Denmark’s eye, Copenhagen is a city inhabited by 500.000 people and has got 10 official districts. It shares a lot in common with the other Scandinavian capitals however that wouldn’t be a lie to say it is even more relaxed when compared to the others. This is why Copenhagen is sometimes referred as the ‘spoiled child of Scandinavia’. Spoiled in a great way, of course. You will notice the bicycle roads are as wide as the regular car roads in Copenhagen as the people are favoring bicycle rides wherever possible, even in winters. This is not the only thing to be noticed on the streets of Copenhagen. The locals speak English so good that your worries concerning communication disappears even when you arrive on the airport. Used to be a Viking fishing village, Copenhagen is now one of the cities in Europe that has got a lot of green areas. These are accompanied with beautiful buildings in classical Danish architecture. The city is also a top destination for higher education as it has got some of the best universities in Europe. And the population of foreign students also contributes to the liveliness of the city. Copenhagen is a city with a characteristics, not only because of the style of the buildings and the cultural heritage it has but also because of its soul. And this is exactly why you will fall in love with this city and consider it as a close friend of yours that you will always would like to hang out with. Copenhagen is eastern coast of Zealand, Denmark. Located just 8 km from the Copenhagen city center, International Kastrup Airport hosts many direct international flights. The ways of transport to the airport and from it, can be found on Kastrup’s Official website. My personal recommendation would be the train, it is cheap, fast and environment friendly. If you are travelling from nearby countries such as Sweden and Germany, you may prefer a train ride to the city as well. The public transportation system in Copenhagen is adequate as bus, train and metro cover all parts of the city. If you are planning to stay more than 3 days in the city, buy a travel card instead of single tickets every time. Journey planner, rejseplannen.dk is easy to use and really efficient. I have to mention one more thing, taxis are highly luxurious in Copenhagen. You will probably see a lot of Mercedes and BMWs around. The cost of taxis are really high, prefer to take one if you really have to. Mentioned before, Copenhagen is a big city divided into 10 regions. When consider the areas nearby are taken into consideration, the city turns into a character disguised differently in every part. However, no matter which are of the city you will visit, the generous Copenhagen will offer you a lot to do. The famous statue and the symbol of the city, the Little Mermaid will be waiting you in Langelinje Pier. Tivoli, the famous amusement park is among the top attractions in the city as well. Nyhavn used to be a busy port but now it is a beautiful place to enjoy the long days in the summer. Danish National Gallery and Ny Carlsberg Glyptotek wait the museum lovers to mesmerize them with the best pieces of Danish and world art. The science museum Experimentarium and the Zoology Museum are also options for interesting visits. There also a bunch of palaces in Copenhagen. Strøget is the main district to shop in city. The area offers enjoyable time as all the stores are located on streets, giving the area a look of an open air mall. In addition, Jægersborggade is famous with Danish design stores and Ravnsborggade is the top place for antique shopping. Nørrebro has got one of the very few flea markets in the country. Nørrebro and Vesterbro has got many restaurants that offer budget friendly dining. Frederiksberg is another area that is filled with restaurants, relatively more expensive when compared the first two. These areas are my suggestions for Danish cuisine experiences, other than that, you will come across many Turkish fast food restaurants anywhere in the city. The Danish do know how to have fun at night. There are pubs all around Copenhagen, most of which are located on Nyhavn, Vesterbro and Nørrebro. Clubbing is also common and in the same areas, located the most famous Danish clubs. Remember, Danish people like ‘pre-fest’, which is hanging out with friends and enjoying a couple of drinks before going out, so the clubs will be getting crowded around 1:00 AM. As Copenhagen is a city that connects Scandinavia and Europe to each other, it is always easy to jump on a train or catch a flight to a different city in a different country. If you don’t feel like doing so and rather feel this city even more, than there are a bunch of options for you. Guided tours have a different type in Copenhagen; active guided tours! They are the best if you want to see the parts of the city you haven’t while you jog. If you like running, the interactive running route in Søndermarken is going to be a new experience. If your trip falls between June and August, you may as well try Copenhagen Harbour Baths, the recreational bathing facilities. These are just some recommendations, though. Your favorite place or thing to do will come to you in Copenhagen as long as you go with the flow of the beautiful Copenhagen. Hosting a large number of congresses, conferences, symposiums, tradeshows, fairs and exhibitions every year, Copenhagen welcomes event attendees from all over the world ever year. 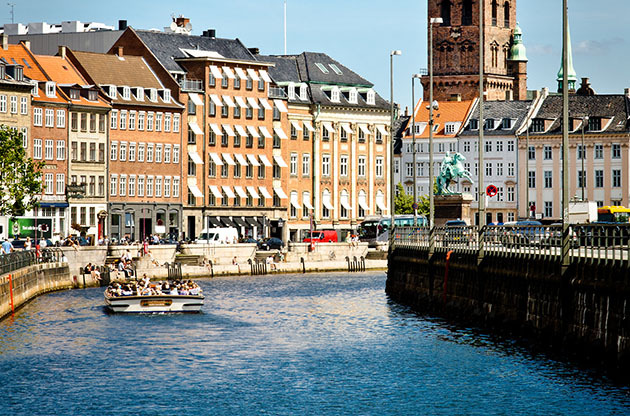 With a large number of venues that are equipped with the latest technology and hard work of the organizers, the success of the international events in Copenhagen is increasing rapidly.